Breakfast and smiles were served up at the 2017 MLK Grandparent's Breakfast. 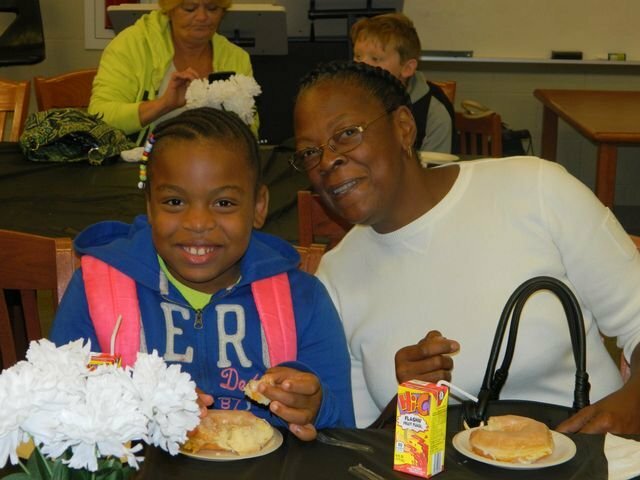 Thank you to all the grandparents that woke up extra early to start our day off right. It was such a pleasure to see so many smiles throughout our building. Students stood extra tall as they introduced their special people. MLK loves the support of our families! Waiting in line for pictures. Enjoying breakfast as a family. An MLK family waits together. Grandkids get a picture with their grandparents. Waiting inside on a rainy morning.